The client hired us to develop a service planning the product release to the Australian market and then in other countries, including the UK. 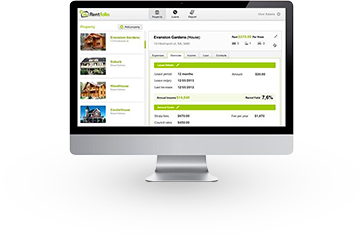 We were to create a web application with a fee-based real estate accounting functionality. We completely developed the application, designed and implemented its appearance and functionality, including the admin panel for user moderation and visual content management. The final product is responsively designed, optimized for all platforms. It tracks, sIt tracks, stores, and displays accounting statistics. The system is integrated with the Braintree payment system. The graphics is stored in the Amazon S3 cloud storage. We worked closely with the client, constantly receiving new ideas. We'be created a focus group to check all ideas on the fly.